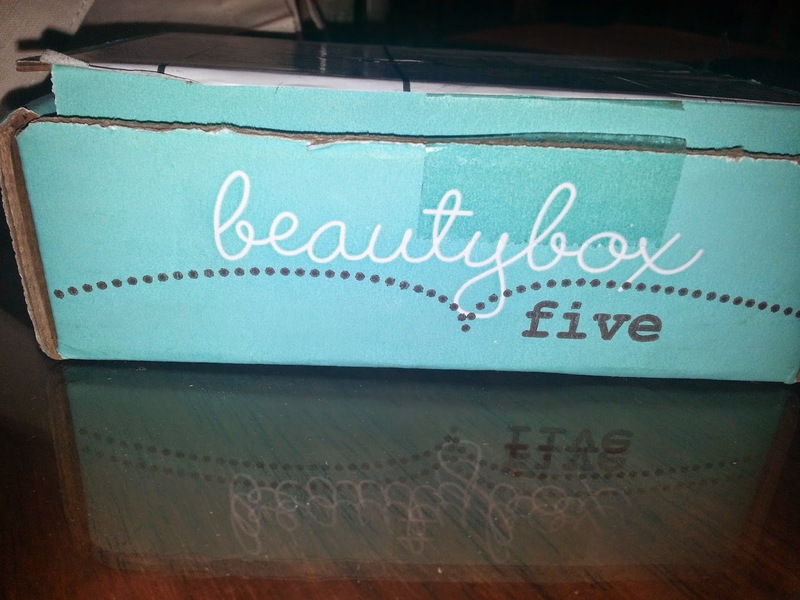 I'm sure everyone in the subscription box world heard about getting your first BB5 box free. I admit I was sad when I first started seeing spoilers because so many people seemed so unhappy about their boxes. 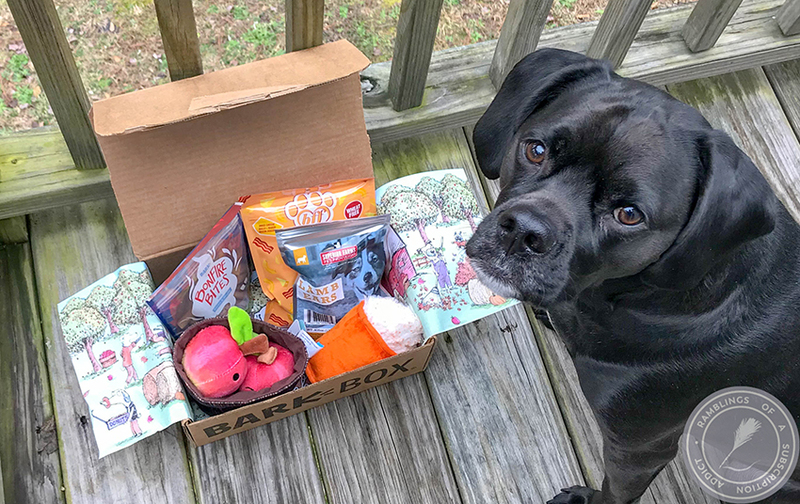 I found my box to be of decent value and I am going to keep it for a couple of months to see if it was just a fluke to have bad boxes due to so many free boxes being sent out. 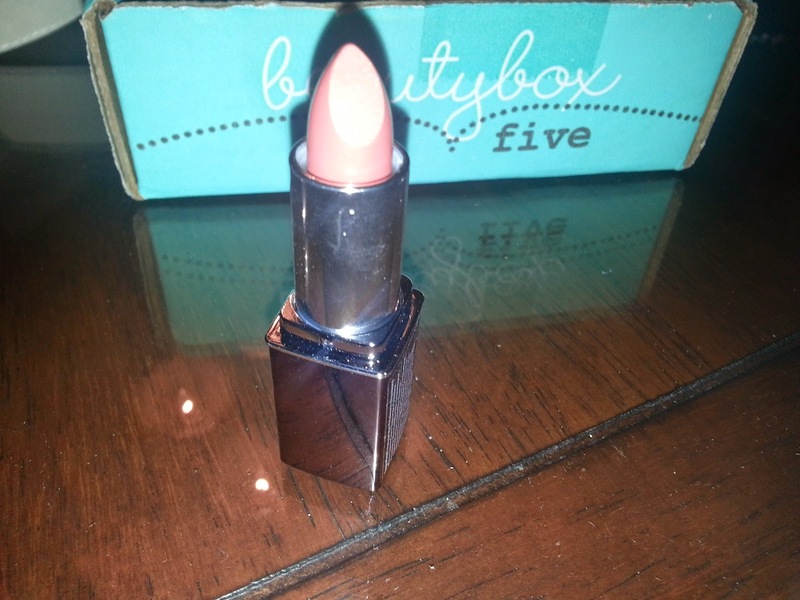 BB5 is $12/month and they send you 5 deluxe samples and full-sized products in each box. They currently have started doing a referral program (no perks have popped up as of yet) and you can go through my referral link here. The one thing I like about this subscription is that they do a beauty survey to get your likes, however I'm not counting my survey on this box due to the crazy free month. Information card. I really love when subs do these. It gives me an idea of products and their retail value. 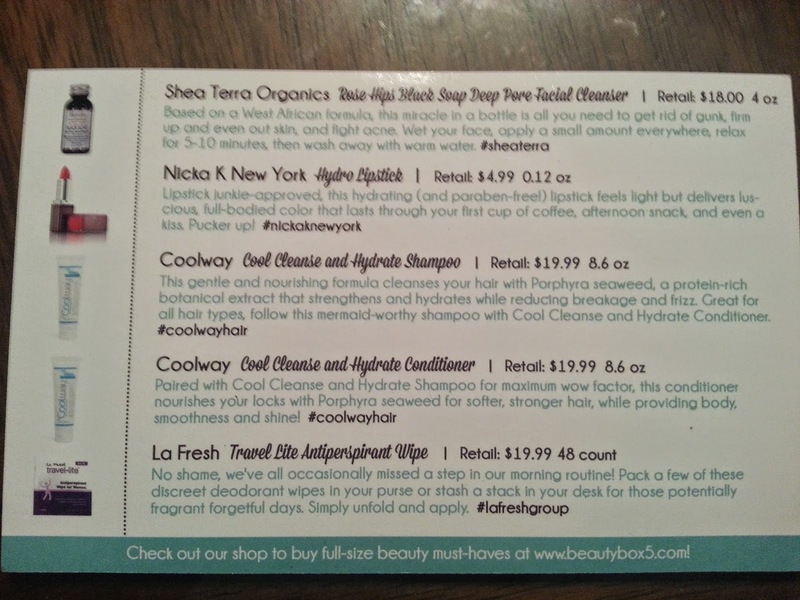 I also like this one because it gives hashtags to use on IG, FB, Twitter to tag the products in your pictures. First look. It was a bit of a mess but it was all in there and nothing was broken/exploded (which is always great). 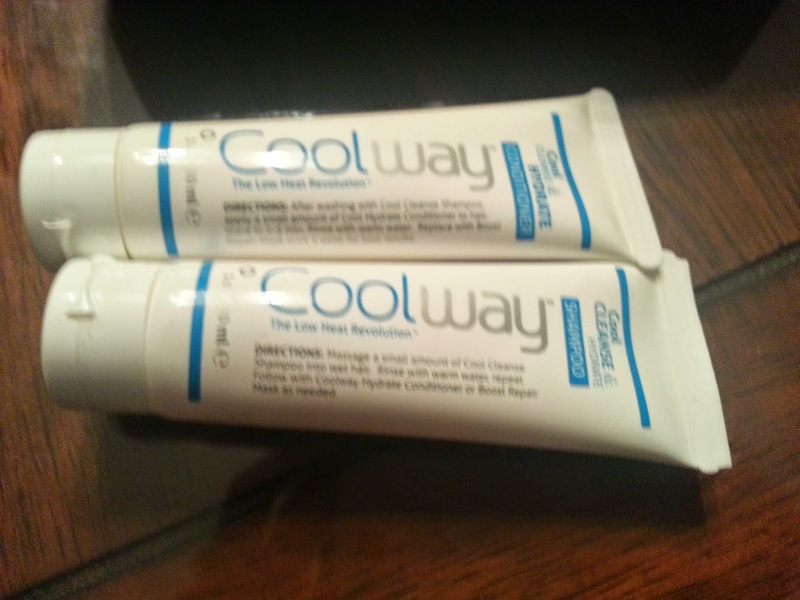 Coolway Shampoo/Conditioner. This was a pretty decent sized sample, although it is not good enough for me to need to buy the full-sized product. It is mediocre at best and full of sulfates. 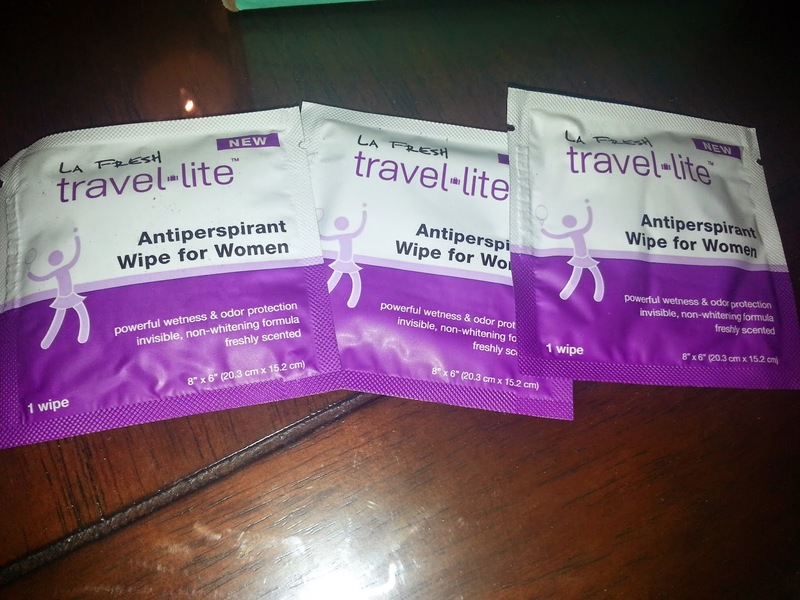 Travel-lite antiperspirant wipes. I'm not sure about these being in the box. My mom seemed to like them, though, but it once again wasn't great enough to buy the entire thing. Nicka K NY lipstick. 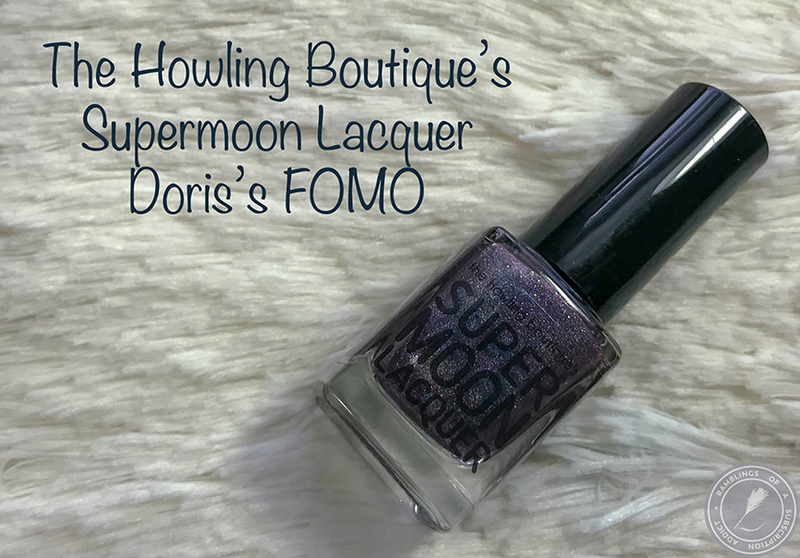 This color is a little dark for me and a little too purple. 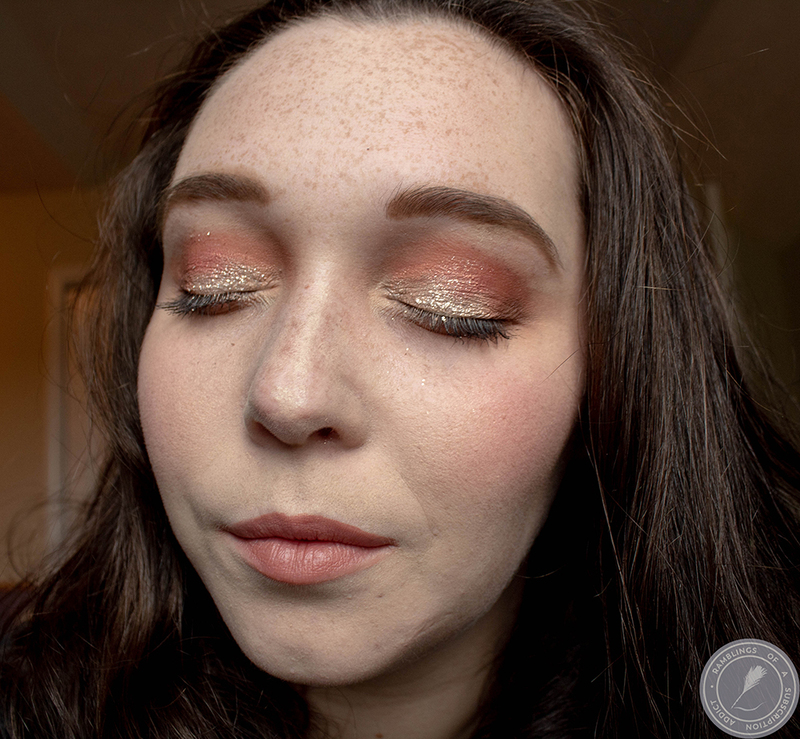 I once again won't buy this again in this shade, perhaps if there is a coral or redder color to wear. 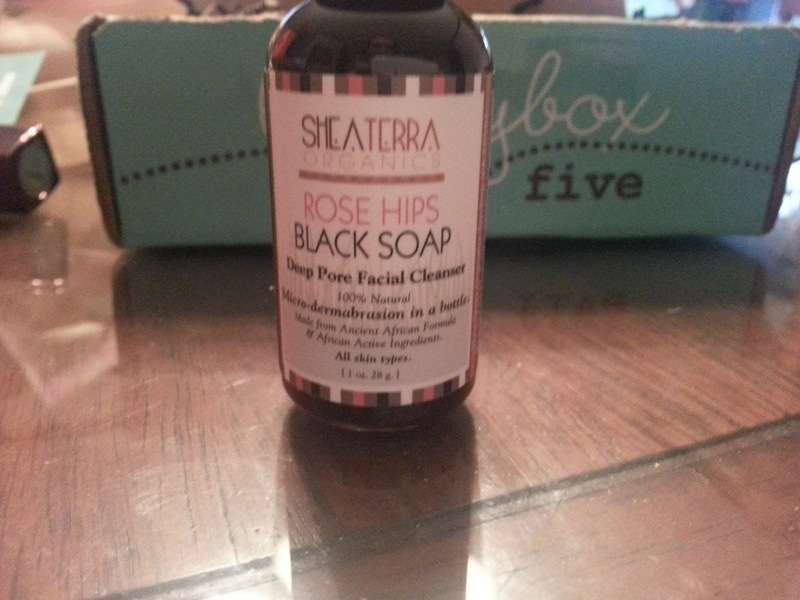 Shea Terra Organics Facial Cleaner. This stuff smells TERRIBLE!! I love the ingredients in it, though, and love how it's far more natural than the stuff I have been using. I'm still on the fence about whether it works as well or not. I'm glad they sent a decent sized sample (1 oz) so I could get a feel of the product. Once again, I am not letting this box decide whether or not I keep the subscription. I am a firm believer that you have to allow a subscription a few months before deciding if it is worth it or not. I don't think this box was a good indicator of the true value of their boxes.